Amazing how fast 10 years goes by, and at the same time it's hard to imaging life without a smart phone. 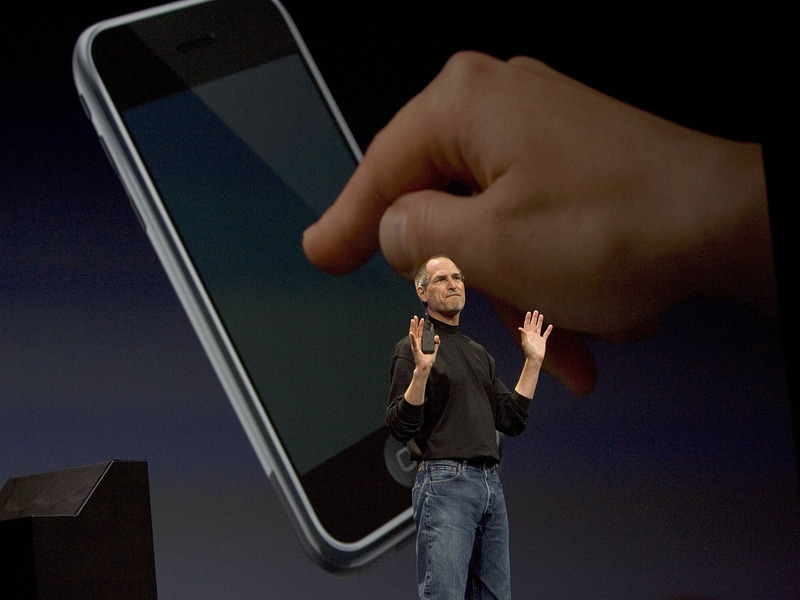 It wa only 10 years ago today that the 1st iPhone was released - here's a look back at how Steve Jobs announced it. 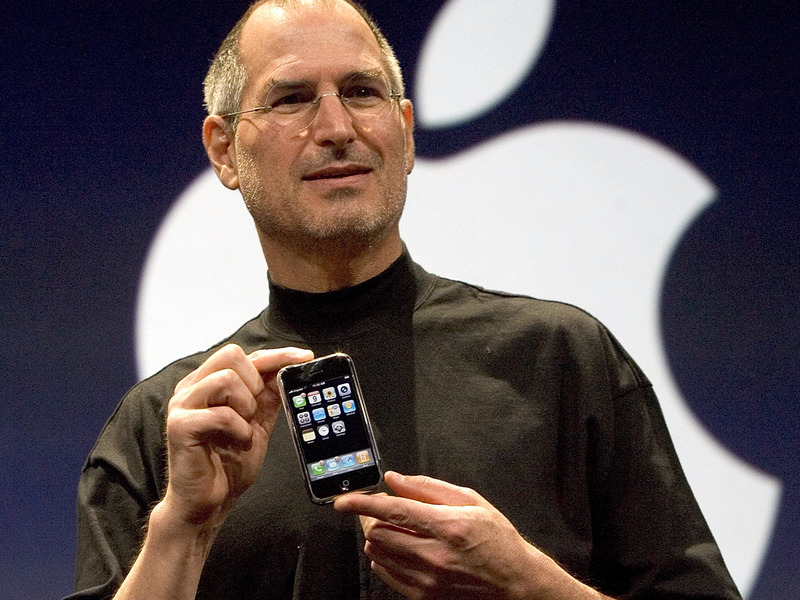 "Ten years ago, June 29, 2007, was a milestone in the history of computing: the launch date of the first iPhone. But it tied numerous disparate features together in a cohesive, well-designed whole — kickstarting a mobile revolution that has transformed the modern world. Today's app economy is bigger than Hollywood, and WhatsApp, Snapchat, Uber, Tinder, and more are essential parts of modern culture, collectively used by hundreds of millions of people every day. But 10 years ago, none of that existed, and the iPhone's success was by no means guaranteed. 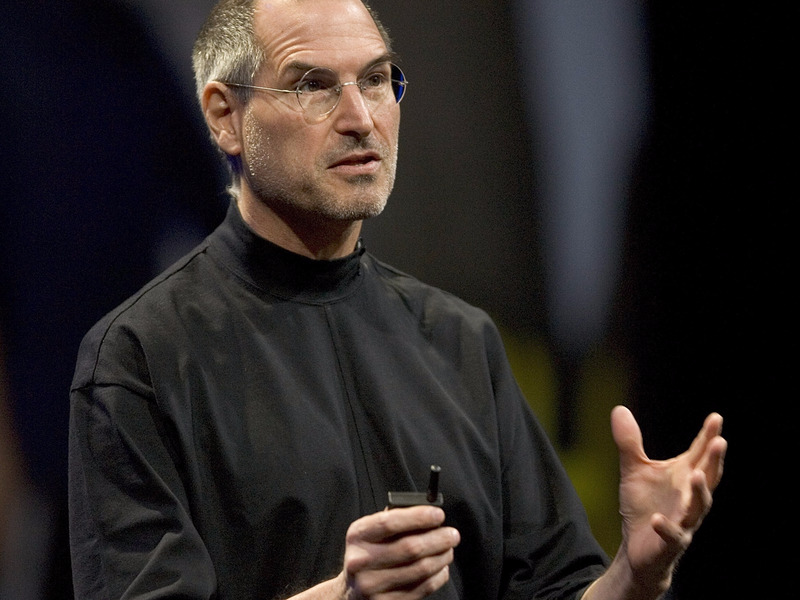 It was announced by CEO Steve Jobs onstage at the company's Macworld conference on January 9, 2007. 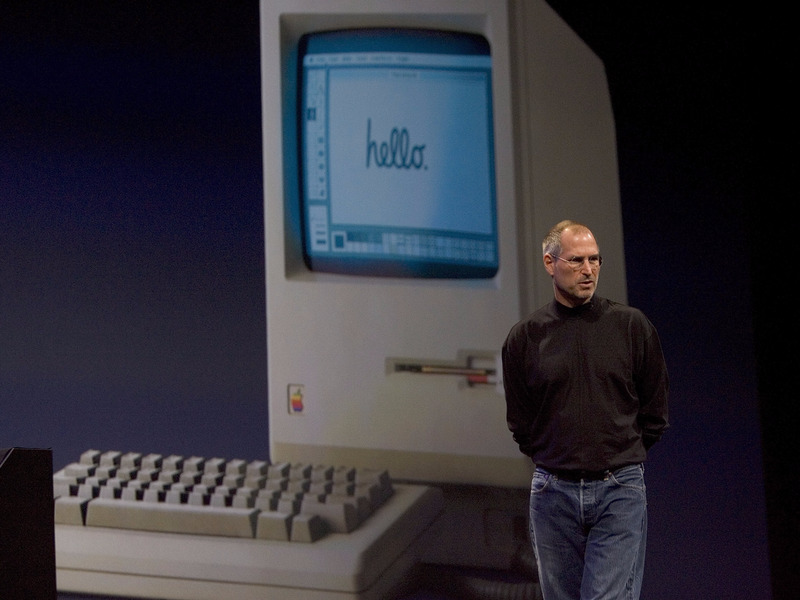 The now-iconic exec was not humble about its possibilities — calling it a "revolutionary device ... that changes everything." 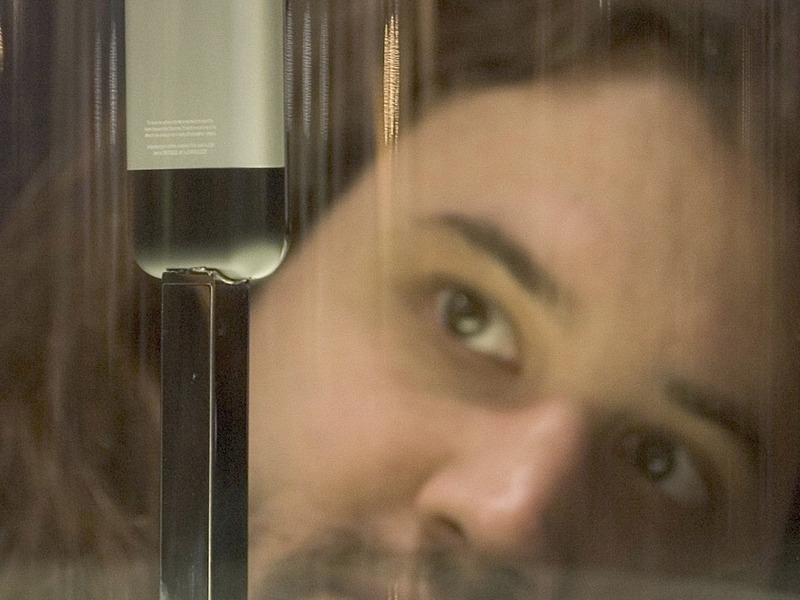 Five months later, as customers queued for days, it hit shop shelves in the US. 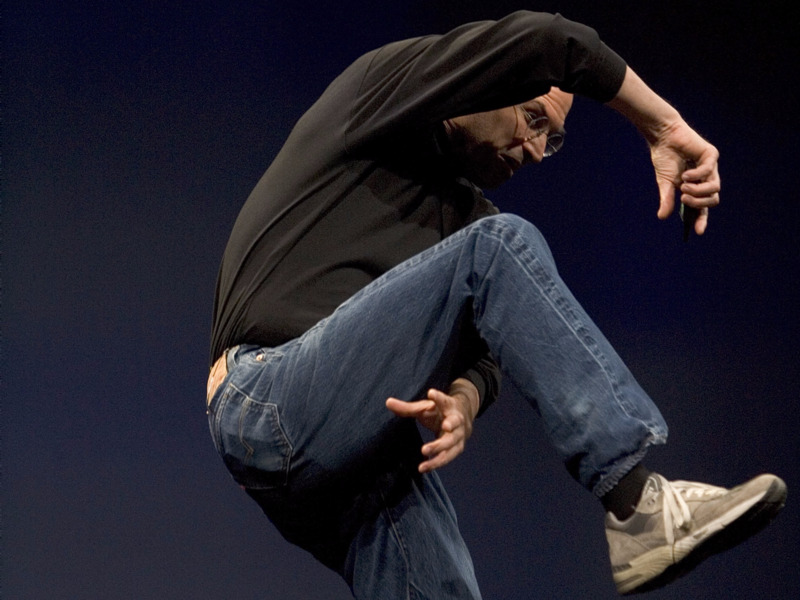 Jobs took to the stage in his trademark black turtleneck sweater for the now-legendary presentation in January. "Every once in a while, a revolutionary product comes along that changes everything," the executive said. 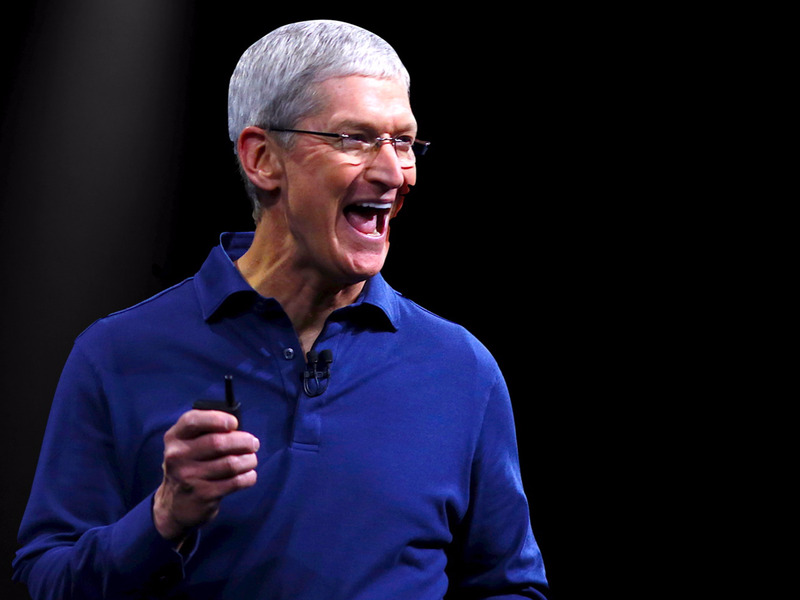 "Apple's been very fortunate. It's been able to introduce a few of these into the world." "Well, today, we're introducing three revolutionary products of this class. 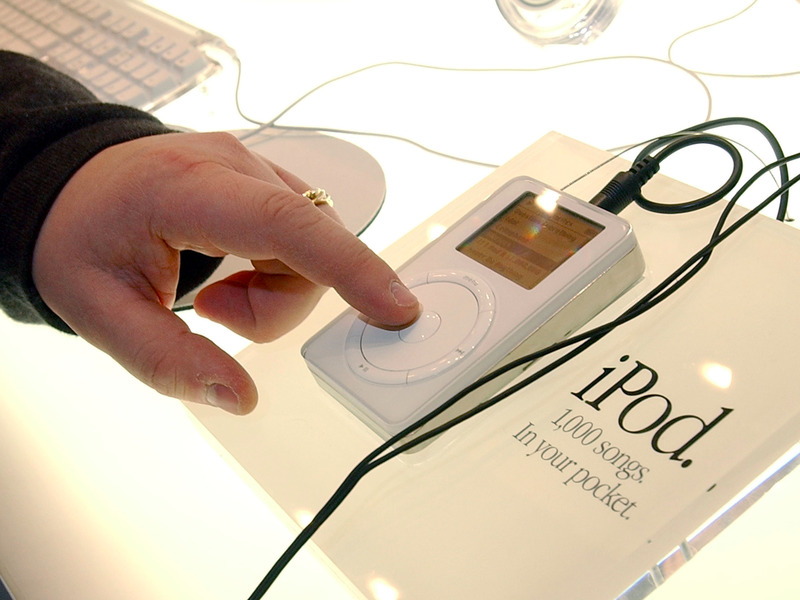 The first one is a wide-screen iPod with touch controls. The second is a revolutionary mobile phone. And the third is a breakthrough internet-communications device." He went on: "An iPod, a phone, and an internet communicator. An iPod, a phone … are you getting it? 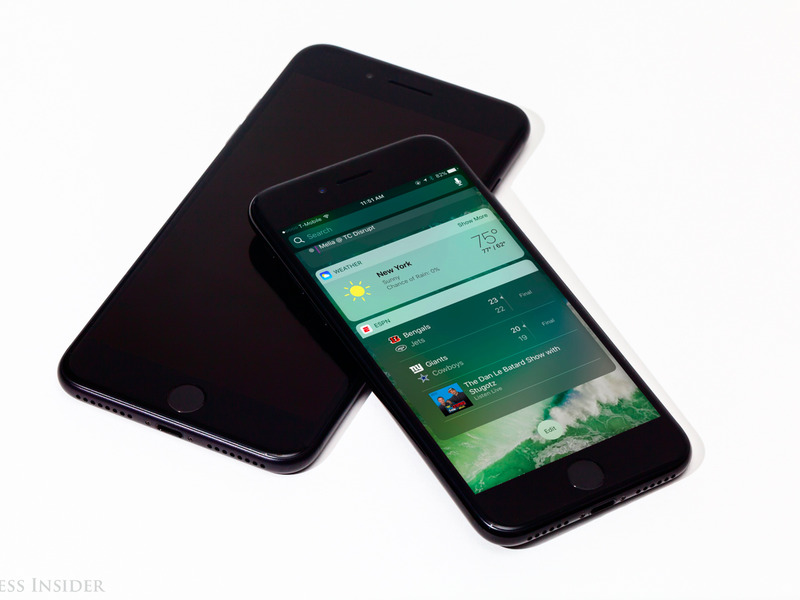 These are not three separate devices: This is one device, and we are calling it iPhone." The performance was carefully stage-managed — but it wasn't all plain sailing getting there. According to a report from The New York Times from 2013, rehearsals were plagued with technical glitches. An early iPhone engineer said Jobs was "intense," telling him, "If we fail, it will be because of you," and, "You are [expletive] up my company." 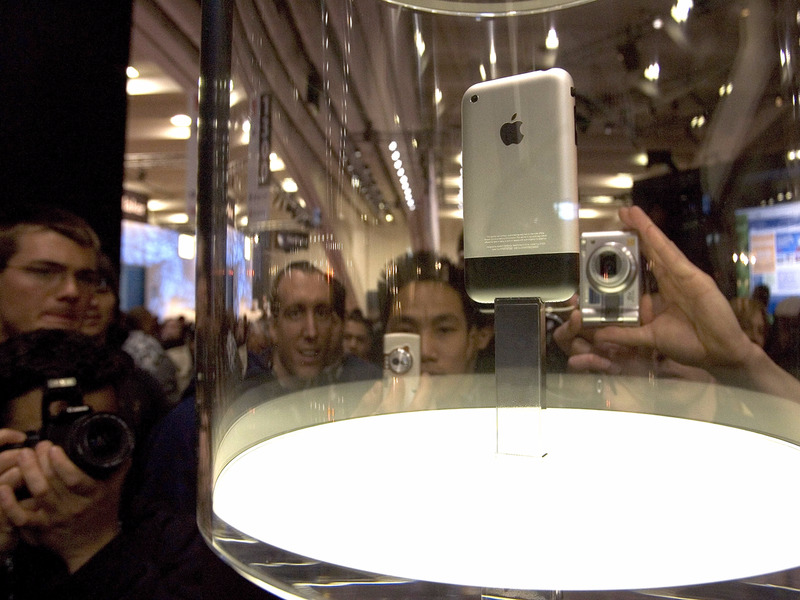 When the phone launched, The New York Times described it as "not ... for everyone" and a "gamble." 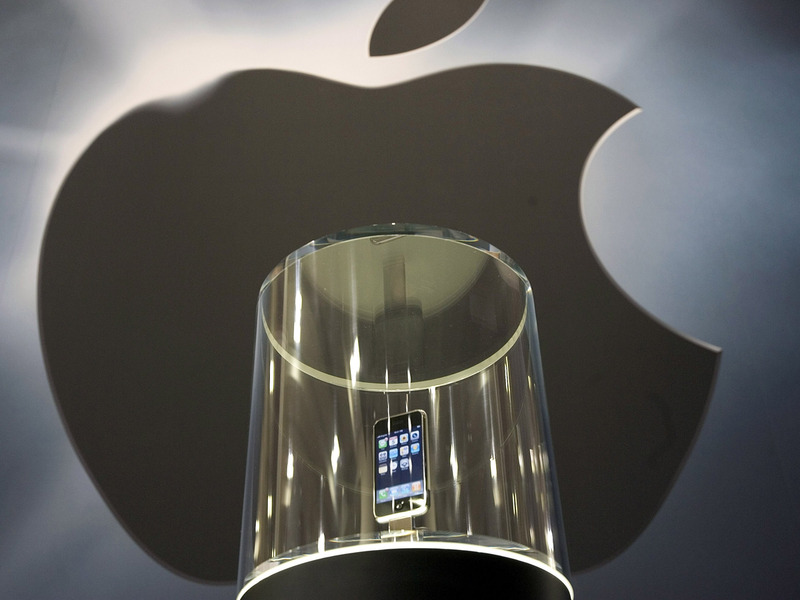 That "gamble" has propelled Apple to stratospheric heights, with the largest market cap of any company in the world. Revisiting the launch earlier this year, BBC tech reporter Rory Cellan-Jones wrote that he was criticised for giving what some argued was "undue prominence to a product launch." He now feels as if his coverage was probably justified. Google and Apple would become bitter rivals, battling for supremacy on mobile. 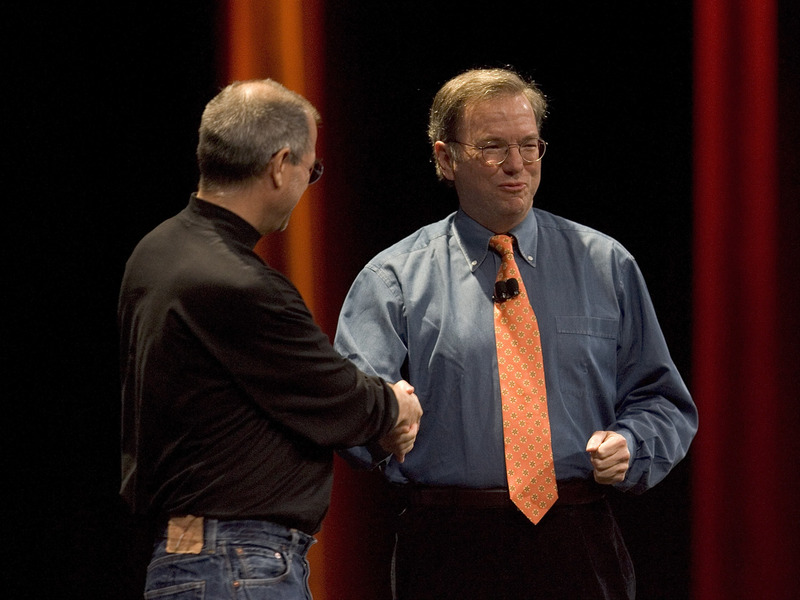 But Eric Schmidt, then the CEO of Google, actually appeared onstage at the iPhone launch. He praised it as an "incredible job" that let companies like Google and Apple "merge without merging." Though hyped, dozens of features iPhone owners now take for granted were nowhere to be seen at the time. No App Store, no copy-paste, no changeable background, no picture messaging, no video camera, no Siri, no notification centre, and more. It was actually pretty basic. We've rounded up even more here. 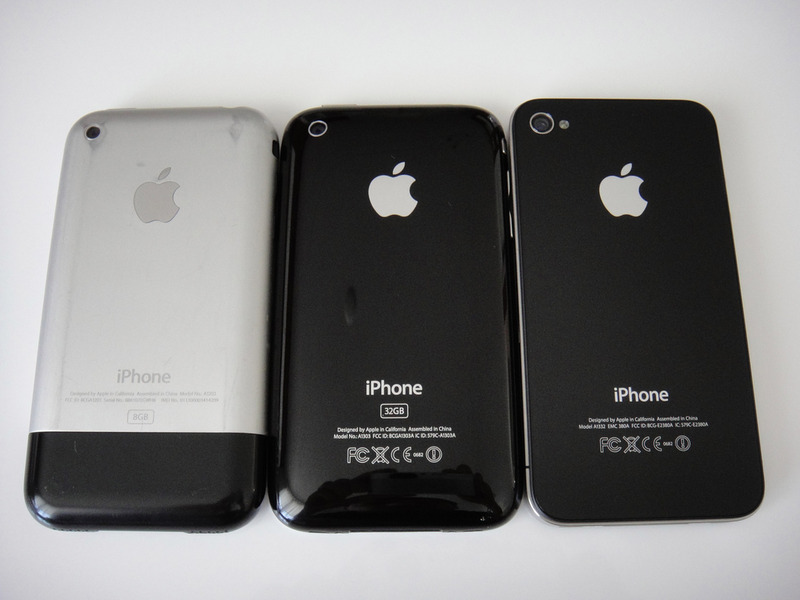 After 2 1/2 years in development, the iPhone was announced on January 9, 2007. It went on sale on June 29, 2007, in the US. 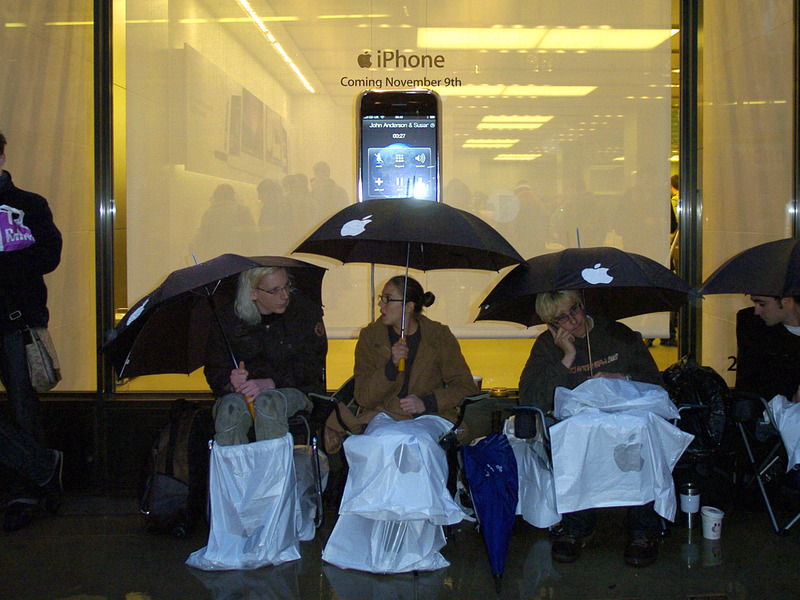 People lined up for days outside Apple Stores to be the first to get their hands on it. 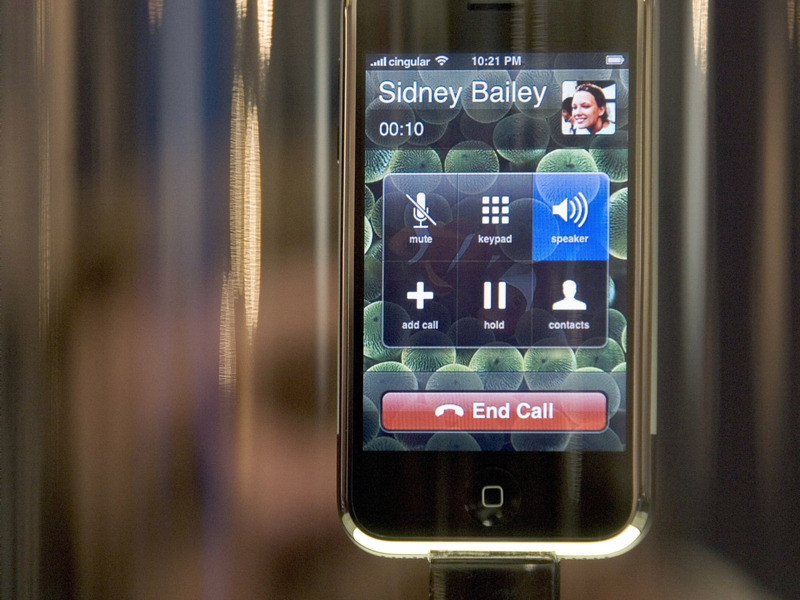 It didn't launch in the UK until months later, on November 9, 2007. People queued for it then too — and queues have since become a familiar sight at Apple's hyped launches. 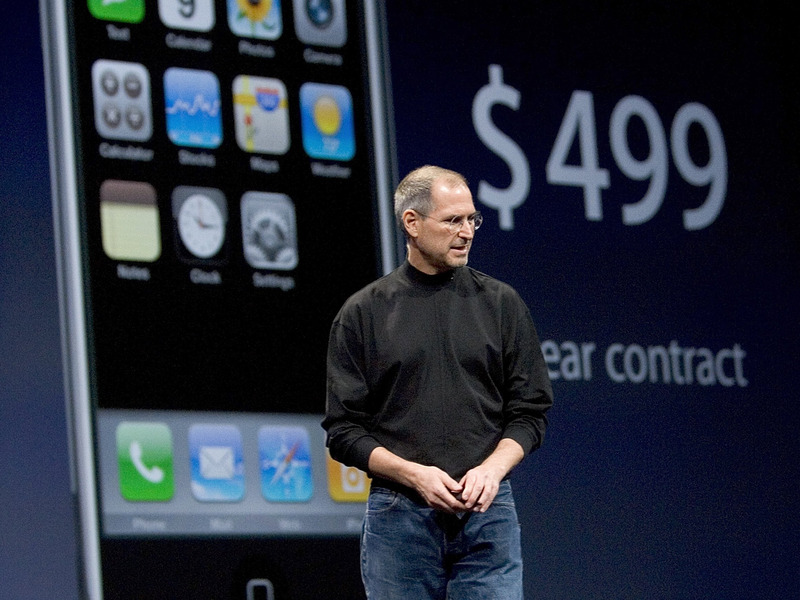 Since then, more than 1 billion iPhones have been sold worldwide. In a statement celebrating 10 years of the iPhone earlier this year, Apple CEO Tim Cook said the "iPhone is an essential part of our customers' lives and today more than ever it is redefining the way we communicate, entertain, work and live ... iPhone set the standard for mobile computing in its first decade, and we are just getting started. The best is yet to come." Apple today introduced iPhone, combining three products — a revolutionary mobile phone, a widescreen iPod with touch controls, and a breakthrough Internet communications device with desktop-class email, Web browsing, searching and maps — into one small and lightweight handheld device. iPhone introduces an entirely new user interface based on a large multi-touch display and pioneering new software, letting users control iPhone with just their fingers. iPhone also ushers in an era of software power and sophistication never before seen in a mobile device, which completely redefines what users can do on their mobile phones. "iPhone is a revolutionary and magical product that is literally five years ahead of any other mobile phone", said Steve Jobs, Apple's CEO. "We are all born with the ultimate pointing device — our fingers — and iPhone uses them to create the most revolutionary user interface since the mouse".